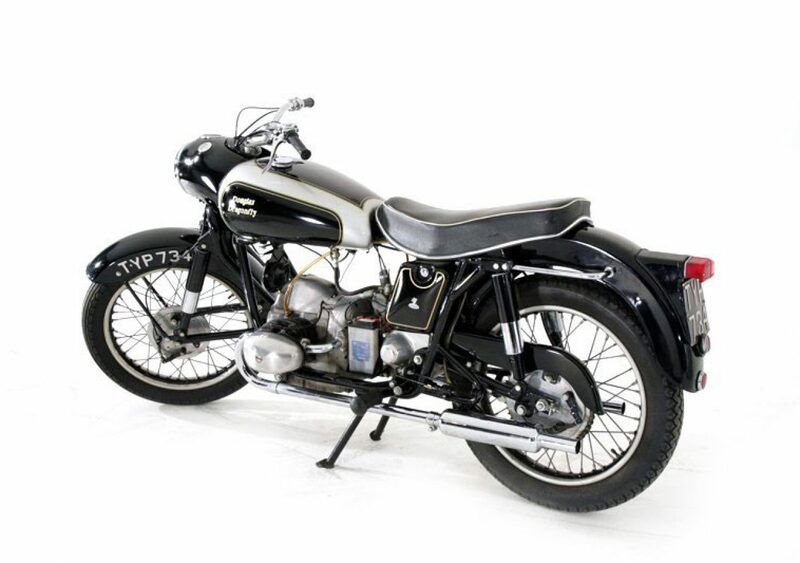 Model in Black/Silver.The Douglas Dragonfly is a motorcycle designed and built by Douglas motorcycles in Bristol. 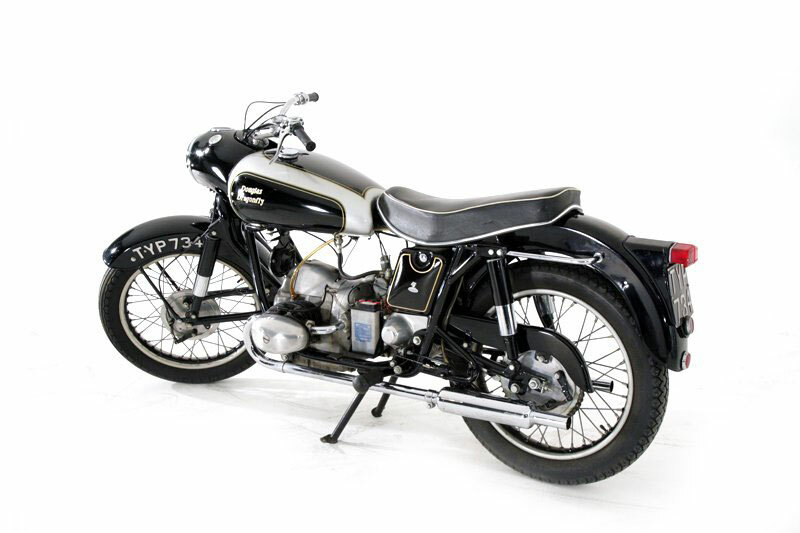 The last motorcycle produced by the company, the 1955 Dragonfly was an all-new motorcycle built to use an improved version of an existing engine. Despite its riding comfort, which was equaled to a car, it did not sell well, and only 1,457 Dragonfly motorcycles were produced before the company was taken over and production ended in 1957. The Dragonfly was known as the Dart while in development and was based on the Mark V Douglas and an earlier 500 cc (31 cu in) prototype. Aiming to overcome the outdated image, designers were commissioned from the Reynolds Tube Company to develop a completely new open duplex frame of welded tubing, including a swinging arm with twin Girling dampers (state of the art for the time) with leading link front suspension. The strengthened and streamlined 348 cubic centimetres (21.2 cu in) engine had a modern coil ignition, AC generator and distributor, with bolt-through cast iron cylinders and heads and pushrods made from Duralumin.